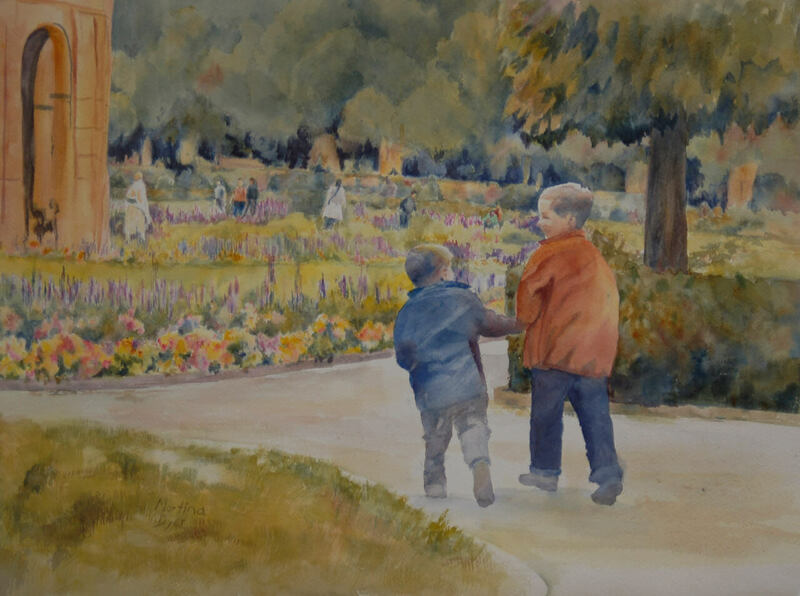 Martina grew up in a small German village, where she developed a love of nature and art. She majored in art and art history, but changed plans when she married the love of her life and moved to the United States. Dabbling with the idea of studying computer programming, she ended up getting a doctorate in physiological psychology, instead. Before attaining her degree, however, her husband’s job transferred to Huntsville, Alabama, and her path took another sharp turn, leading her back to art and involvement with the Huntsville Art League. 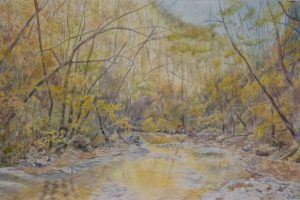 In Huntsville, with its beautiful areas and many green spaces, Martina resumed her painting, taking classes and workshops, and learning from the many art books available. 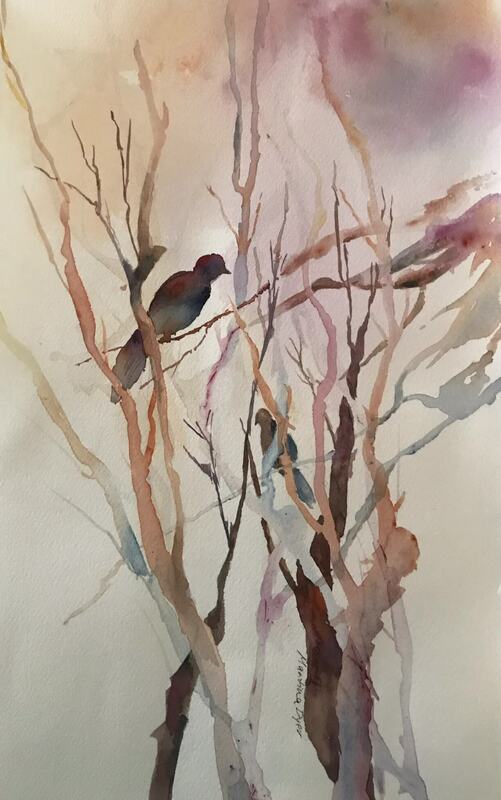 An avid outdoors person, she often paints or sketches on site and gets many of her inspirations from her garden, and from the greenways and nature trails in the area. 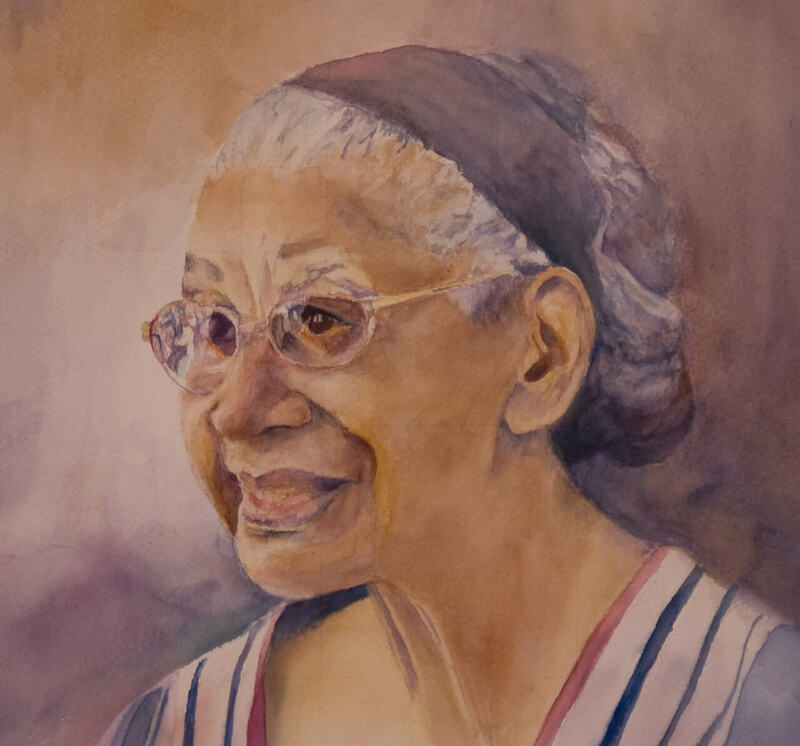 For many years, she participated in a weekly figure drawing group, leading to a love of watercolor portrait painting. She also uses photos from her trips back home to Germany for inspiration. 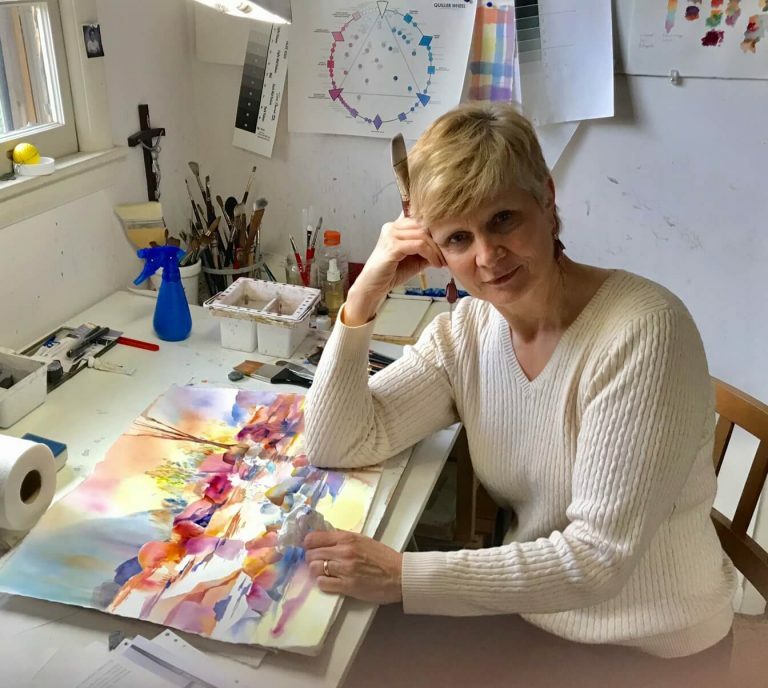 Her paintings have been exhibited in several juried shows, and are part of private collections in the United States and Germany. 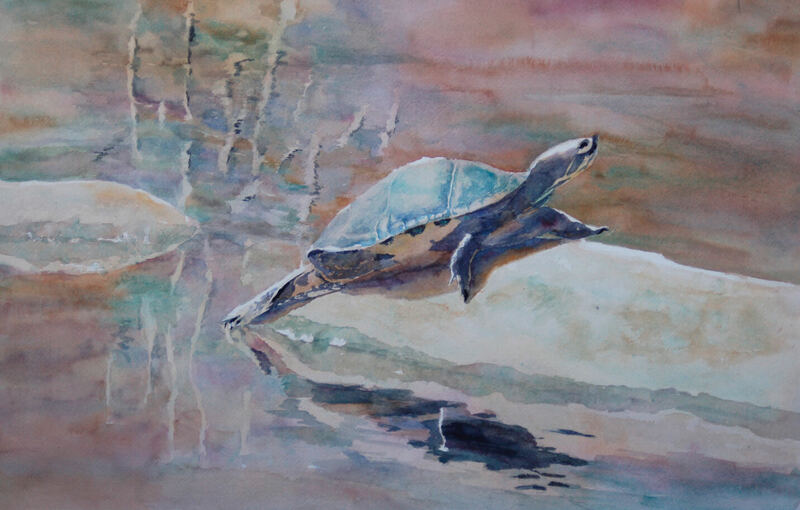 Martina is a signature member of the Alabama Watercolor Society. 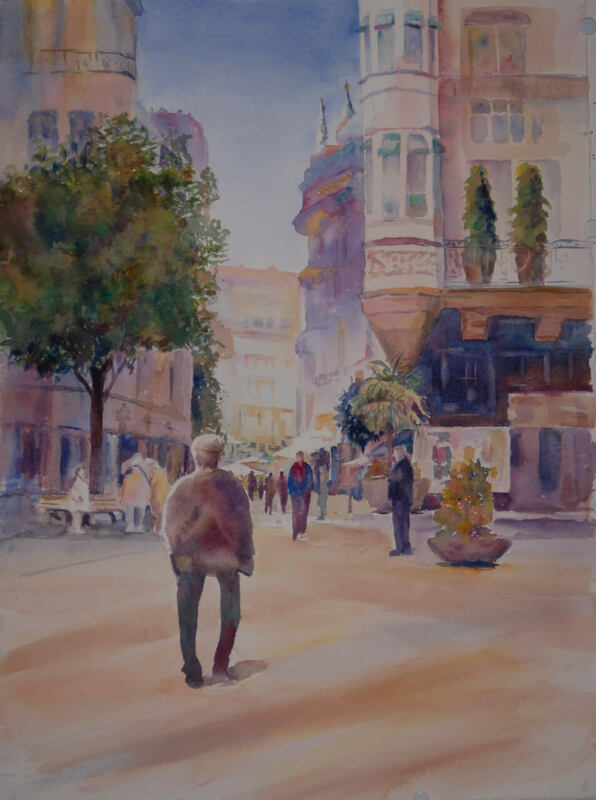 I paint in watercolor, a highly versatile medium. It lets me paint details in a meticulous and realistic way, or it lets me drop color on wet paper with abandon, not knowing what comes out in the end. It’s an exciting and sometimes exasperating dance of control and letting go. 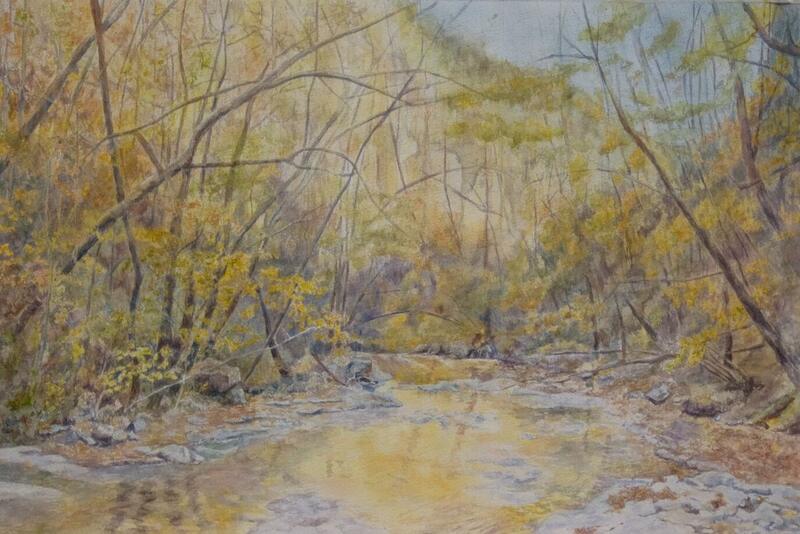 We are always looking for talented artist to join us at the Huntsville Art League. 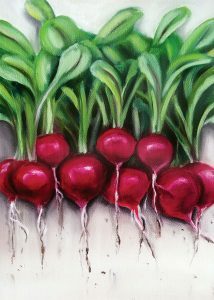 Whether you just want to showcase your work or grow your art business, this is the place for you. 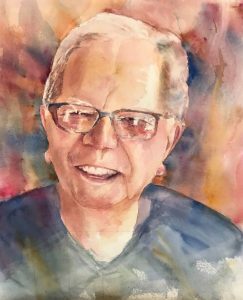 There is a lot of exciting information in our quarterly newsletter. Sign up for your copy today!